Yesterday morning it was Champagne and croissants for breakfast when I met up with fellow Britmum bloggers. It always amazes me how incredibly supportive bloggers are of each others. It’s so refreshing! If you don’t already have a blog, start one just to get some new fab friends! 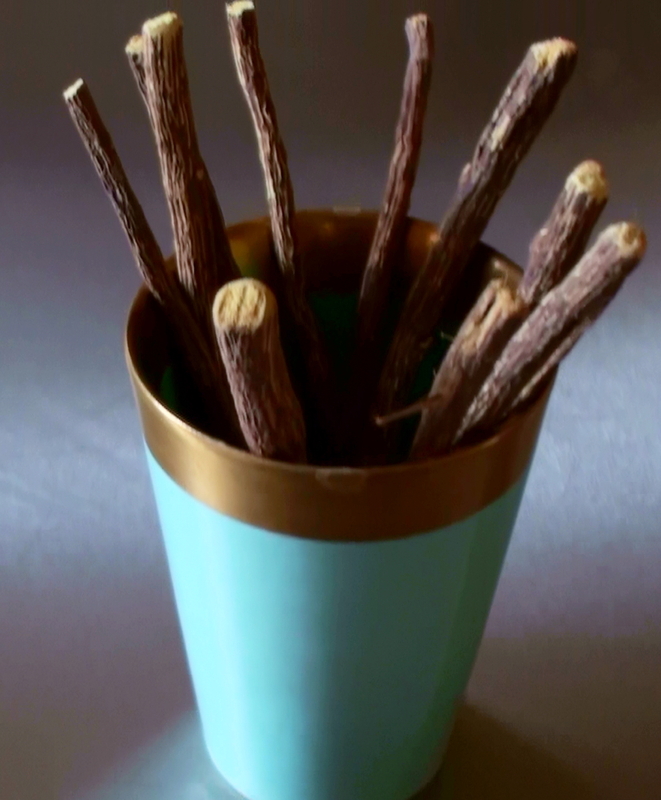 Today I’m not having bubbly, instead I’m chewing on sticks, liquorice root sticks. I reach for my twigs when I’m desperate for something sweet, without ending up with more lard around my midriff. But liquorice root also has amazing healing properties. It contains hundreds of potentially healing substances including flavonoids and plant estrogens. And the key therapeutic compound, glycyrrhizin is 50 times sweeter than sugar. Yum! I sometimes chew on a stick or two to mend a sore throat or a bad cough. But it’s used for an array of ailments including depression, colds and flu, yeast and fungal infections. It’s known to support the adrenal glands, to boost the immune system and to keep the liver in tip-top shape, the list goes on. Interesting stuff, where do you buy it from?